Southern California friends, if you’ve been craving a tasty wood-fired pizza, you’re in luck: There may just be a Pitfire Pizza near you. We had a chance to dine at the new Pitfire Pizza in Manhattan Beach recently and (even though we’re total East Coast snobs about pizza crusts) we were totally delighted with the pizza and the other menu selections. We started off our dinner with a towering shredded kale salad ($8.00). (This is not a surprise, of course, given how much we love kale.) This salad had just the right mix of salty and sweet, with kale, honey dates, almonds, parmesan, and a lemon Champagne vinaigrette. While our kids went with traditional pepperoni pizza ($9.75), we chose two more cutting-edge options. The first, Roast Pumpkin Pizza ($10), is a seasonal item that is only on the menu for a few more weeks (so don’t miss it!). 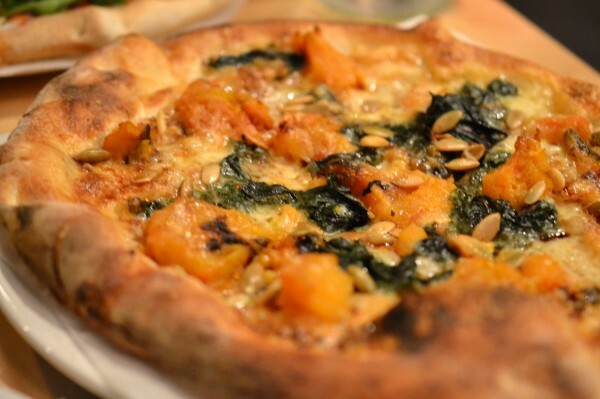 It’s made with sage-roasted winter squash, brown butter, braised chard, fontina, toasted pepitas, and pumpkin seed oil. Even if your mouth is not already watering while reading that, one taste alone will convince you. It’s savory with just a teeny hint of caramelized sweetness – and matched with a crispy-chewy crust, it’s the perfect comfort pizza for the winter. Our second pizza was a mainstay of the regular menu, the Burrata Pie ($9.95). 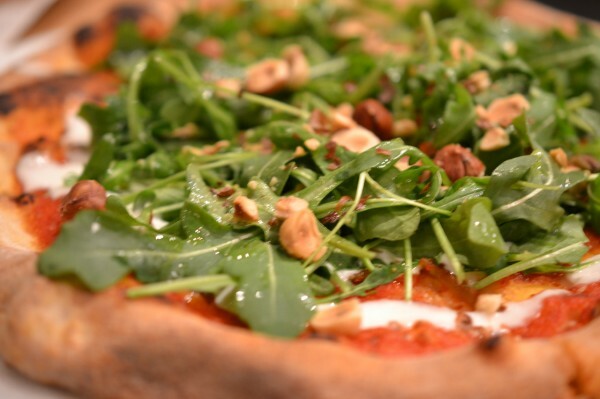 This one’s made with burrata cheese, tomato sauce, wild arugula, caramelized onion, hazelnut, and a drizzle of pesto. It’s leafier than you’d expect on the top, but the sauce and the greens and the onions blend together perfectly. Incidentally, although the pizzas are made in “individual” sizes, we found them big enough to either share or bring some home. Last but not least, we also sampled a seasonal pappardelle ($12) with braised short ribs (yum!) and we finished off the meal with Pitfire’s signature “Smothered Cookie” – a warm chocolate chip cookie topped with a mountain of soft-serve ice cream, chocolate sauce, and hazelnuts ($4.95). Hungry yet? 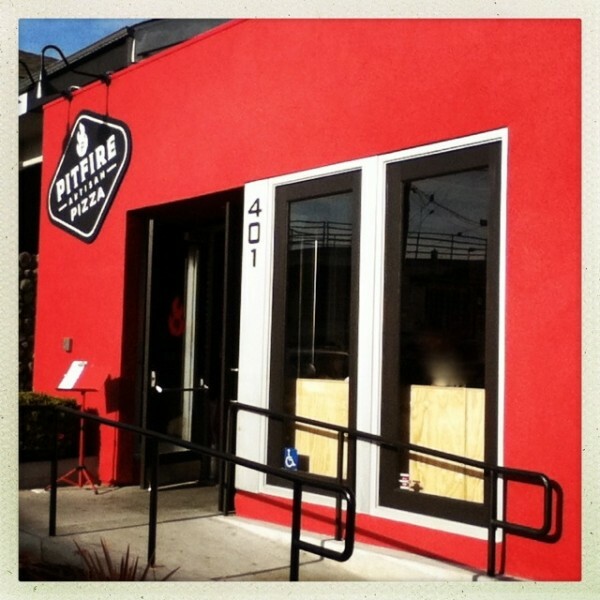 Pitfire Pizza, in multiple family-friendly Southern California locations, also does catering and pizza-making parties. For special diets, there are gluten-free crust and vegan mozzarella options. To see locations and more information, visit the Pitfire Pizza site. Blogger disclosure: Pitfire Pizza treated us to a meal; we did not receive compensation for this post.